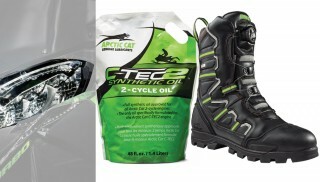 The MotorFist Stomper Boot will be ready to help snowmobilers tackle the harshest of conditions this winter. 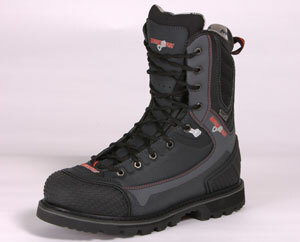 The Stomper Boot (US$199.99) boasts a list of industry firsts. 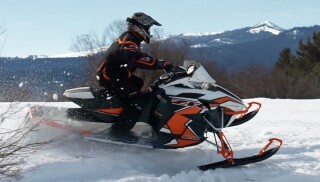 It is the first snowmobile boot with eVent Waterproof and Breathable Footwear Technology and TecTuff breathable leathers, making it the most breathable (no-sweat) boot on the market. It is also the first snowmobile boot to offer replaceable Goodyear Welt Soles, which will allow customers to extend their boot life by years. Industry firsts continue with MotorFist’s exclusive Hi-Flex design that allows for greater range of motion and wearing comfort. According to MotorFist, this is a boot that you won’t want to take off when you get back to the trailer. Additionally, durability concerns are answered with TecTuff Technical Textured leathers for the uppers and ultra tough MotorFist custom formulated sole compounds. Finally, each Stomper boot will battle the wintry elements with 600 Grams of Thinsulate for foot surrounding warmth and comfort. Check out MotorFist.com for more information.